These days, more and more of our friends and family (as well as us!) are watching what they eat and trying to make some healthier food choices. So as we’ve been entertaining this summer, Jack and I have been trying to serve some lighter (but still very delicious!) 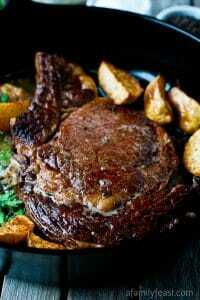 fare that will help our guests stay on their diets as well as impress their taste buds! 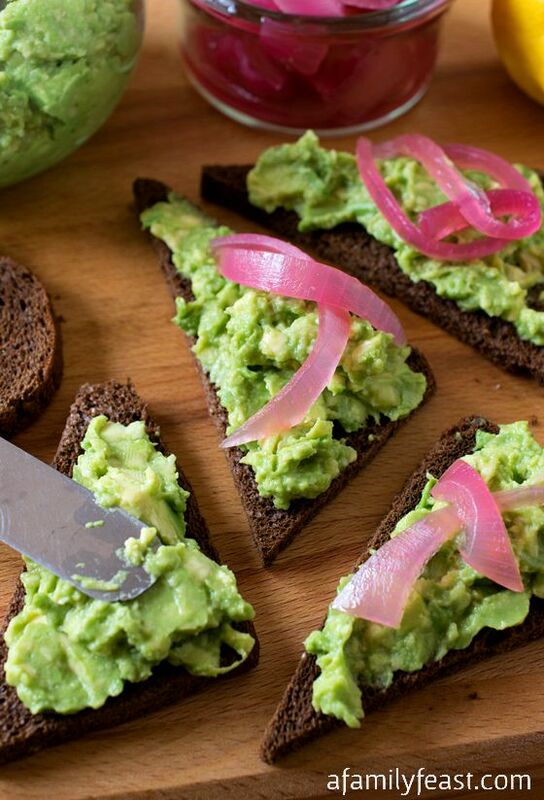 These Avocado Rye Canapés are a perfect option. The idea behind these delicious little appetizers came about after I made avocado toast as part of a light lunch for Jack and myself a few weeks ago. I wanted to use up the last few slices of some dark rye bread we had on hand, as well as a very ripe avocado – and we also had some of our delicious pickled red onions in the refrigerator. 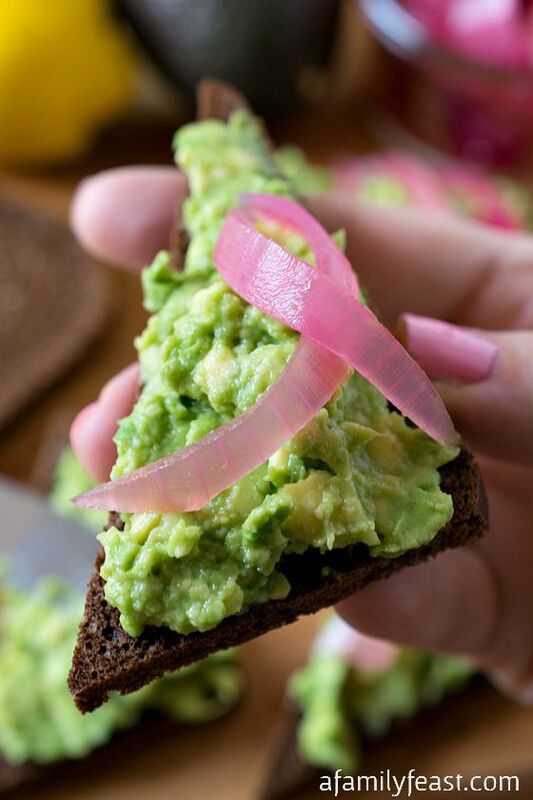 The dark rye bread was a perfect flavor pairing with the lightly seasoned, mashed avocado and the bright and zesty flavor from the pickled red onions gives a great kick of flavor. 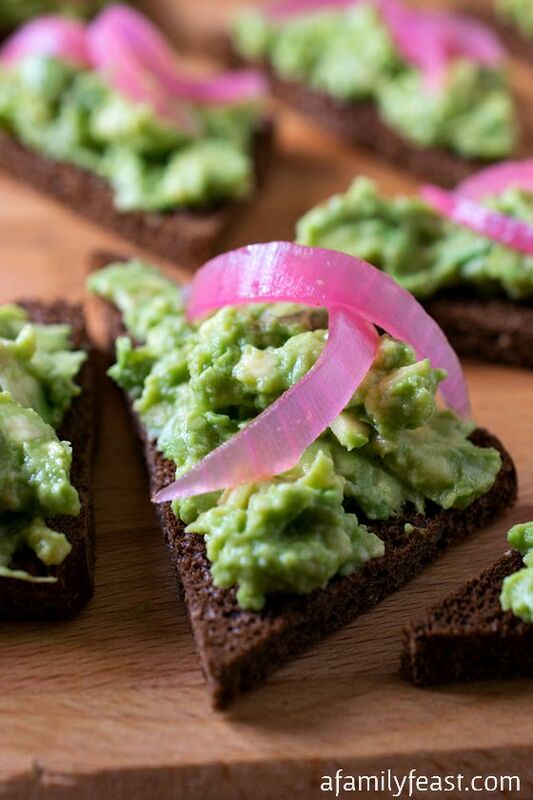 We love the flavor combination so much, we decided to turn it into an appetizer – and that was the inspiration behind this avocado rye canapés recipe! Slice avocados in half lengthwise and remove pit (we show you an easy way to do it right here). Using a spoon, scoop the avocado flesh from the skin and place in a bowl. 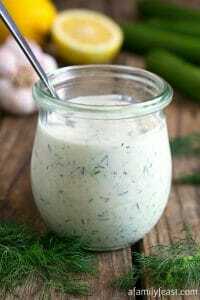 Add lemon juice, salt, and pepper, then using a fork, mash the avocado (I like to leave some chunks) and mix until blended. Set aside. Trim the crusts from the slices of rye bread. Then cut in half diagonally to form triangles. When ready to serve, lightly toast the rye bread triangles. Once toasted, spread the avocado mixture onto the rye toasts. Garnish with slices of pickled red onions. Martha is part of the husband-wife team that creates A Family Feast. She loves to cook and entertain for family and friends, and she believes that serving a great meal is one of the best ways to show someone that you care. Martha is a self-taught home cook, who loves to read cookbooks and try new recipes. 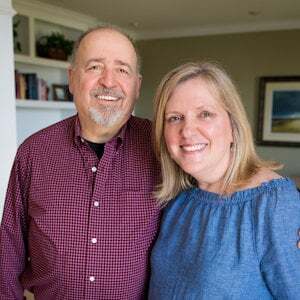 After a decades-long career in business and online marketing, she now runs A Family Feast full-time. Her specialties are baking, desserts, vegetables and pasta dishes. Rye bread for avocado toast? 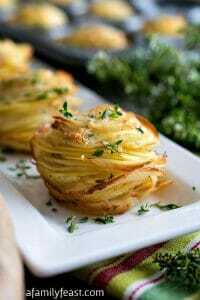 Love the idea and the slight twist to a well-known favorite. If you are feeling adventurous, Bob’s Red Mill makes a great rye bread mix! Thanks for the suggestion Felicia! 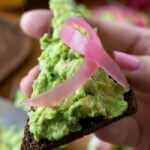 You can’t beat any version of avocado toast, but I’ll bet the tang of the pickled onions really make the flavors pop! 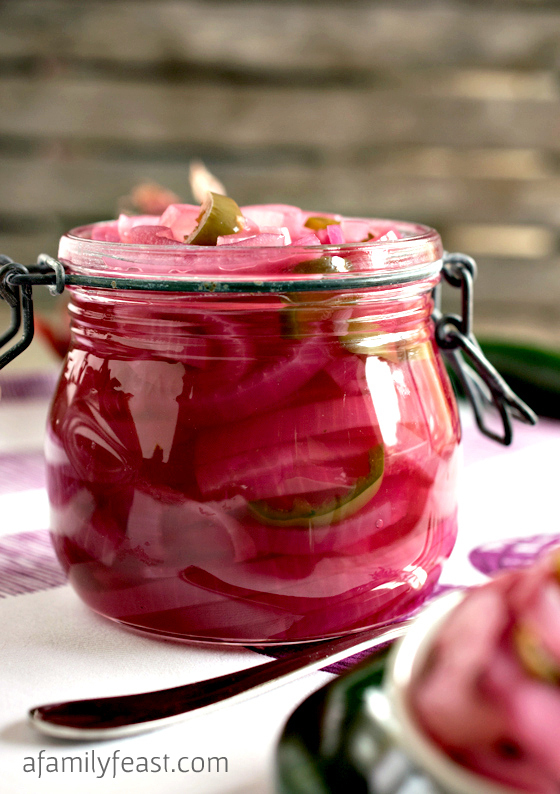 Pickled red onions have such an amazing flavor! 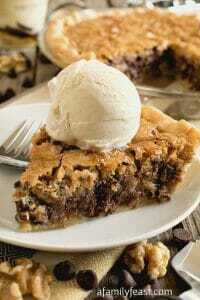 I bet it goes well with this! 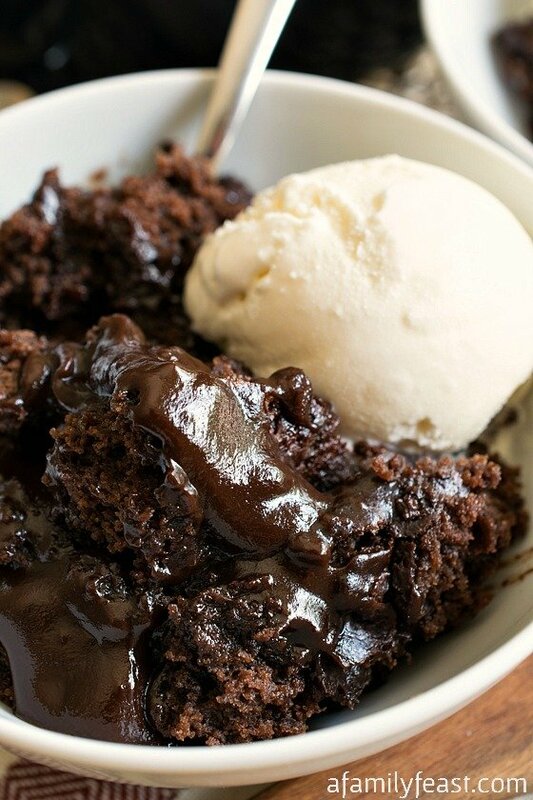 This is definitely a light snack! It looks and sounds amazing. 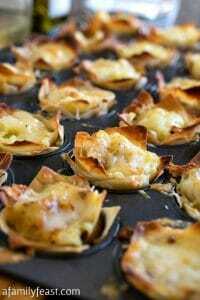 I love canapes! 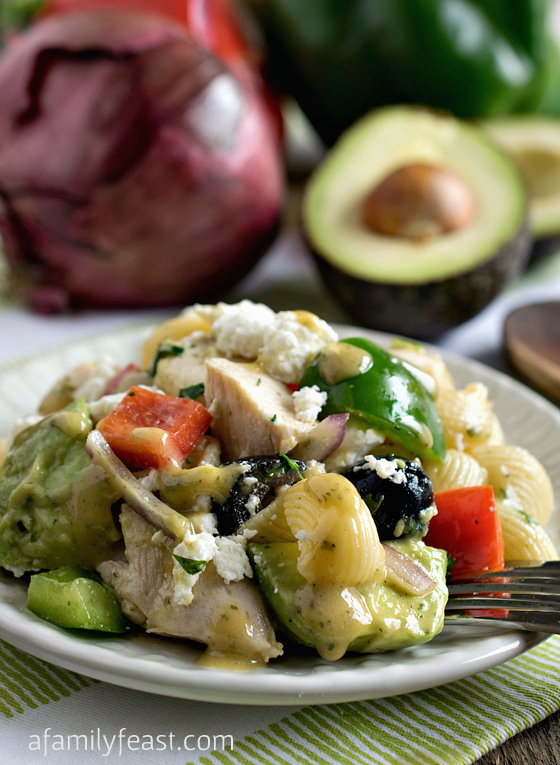 Avocado is a great choice for a topping. The pickled red onion on the the first picture looks just like a pink breast cancer awareness ribbon! 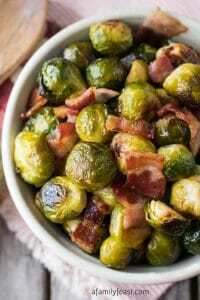 These sound perfect and I’m going to save them because even though I don’t think it was meant to be, it would be perfect for October when the cancer society here does their lunchin! LOL – I thought so too when I we took that photo Angie! But it looked so nice – I didn’t want to change it! 🙂 Great idea for a breast cancer awareness luncheon appetizer! I don’t think I’ve ever had rye and avocado together before, now I want to try it. 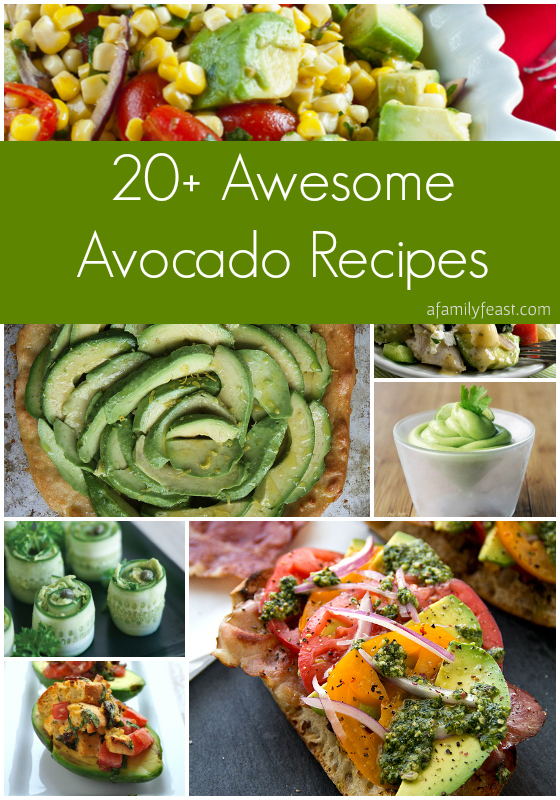 Love the creamy smooth avocado with the tang of that onion. Plus, the colors are just so vibrant! I would eat these for lunch and dinner! What a perfect and pretty party bite! Beautiful! Thanks for sharing – I have been getting whole wheat bread lately, so rye will be a nice change, and just about anything goes well with avocado! I love how healthy this is and still remains delicious! Kuddos! Now THIS is healthy food that I won’t mind eating! Love the colors here! Join Us In The Kitchen! (daily or weekly), and exclusive subscriber-only content! Welcome to A Family Feast! We're so glad to have you join us in the kitchen! Sign up to receive the FREE ebook, Our Top 25 Recipes of All Time. Plus, click below to receive FREE email updates (daily or weekly) with new recipes and exclusive, subscriber-only content! Sign up for A Family Feast emails to receive the latest recipes, news and more! When you sign up, you’ll also receive a FREE eBook with our Top 25 Recipes of All Time! 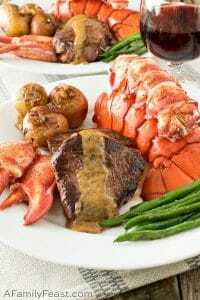 © 2019 A Family Feast®, All Rights Reserved. Design by LH. A Family Feast ® is a registered trademark of A Family Feast, Inc. All content, including recipes, text, visual elements, and photographs are copyright © A Family Feast, Inc. 2012-2018, unless otherwise stated. All rights reserved.